the dates with an additional support act to be announced. Rodgers served as a producer on Paper Gods and has enjoyed a long collaborative history with Duran Duran. The Paper Gods Tour will kick-off on March 28, 2016 in Durham, NC and will be divided into two legs. The first runs through April with shows up and down the East coast of America into Canada, including Washington, D.C., Brooklyn, NY, Atlanta, Austin and Montreal. The second leg returns the band to the road stateside in July and continues through early August with shows in Las Vegas, Irvine, San Diego, Toronto and more. 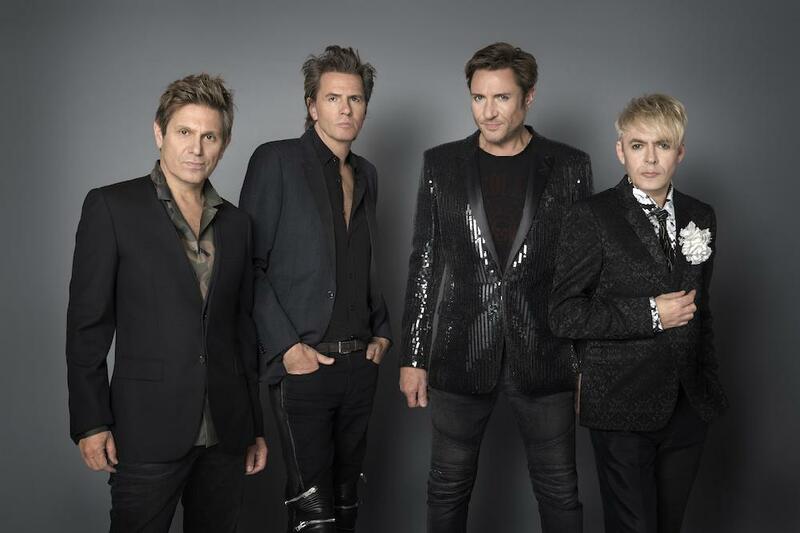 Every ticket purchased online for Duran Duran’s 2016 headline tour will receive a standard physical copy of Paper Gods. Fans will receive an email 10-14 days after purchase containing redemption instructions. Festival dates are not included. Members of the Duran Duran Fan Community will have access to pre-sale tickets and exclusive VIP packages beginning Wednesday, Dec. 9 at 10 a.m. local venue time through www.duranduranmusic.com. Citi card members will have access to pre-sale tickets beginning Thursday, Dec. 10 at 10 a.m. local time through Citi’s Private Pass Program. For complete pre-sale details, visit www.citiprivatepass.com. Fans with the Live Nation mobile app will have access to a password-free presale starting Friday, Dec. 11 at 10 a.m. at Ticketmaster-ticketed venues. The app is available via the App Store and Google Play. Tickets for the general public go on sale starting Dec. 12 at 10 a.m.
Duran Duran’s four original members: singer Simon Le Bon, keyboardist Nick Rhodes, bassist John Taylor, and drummer Roger Taylor, performed a few special West coast shows with CHIC around the release of Paper Gods in October before embarking on a UK arena tour that wraps up on Dec. 12. Paper Gods was released worldwide on September 11 and bowed at No. 10 on Billboard’s Top 200 Album chart, earning Duran Duran its highest-charting album in 22 years.